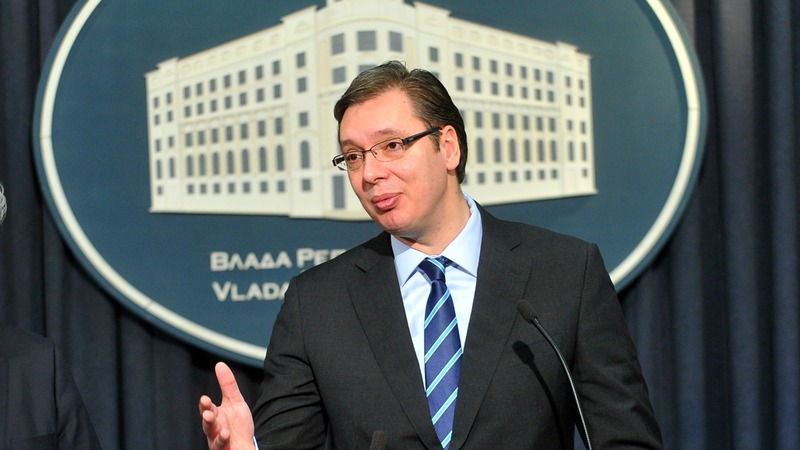 Vučić’s Serbian Progressive Party was on track to win around half of the vote, with his Socialist coalition partners in second place with around 11%, according to independent observers at the Centre for Free Elections and Democracy (CESID). The far-right Radicals were also set to return to parliament after four years without seats, led by ultra-nationalist Vojislav Šešelj who was recently acquitted of war crimes charges arising from the 1990s Balkan conflicts. The Radicals were expected to win more than seven percent of the vote, CESID said, clearing the five percent threshold to give them a platform in parliament for their strongly anti-Western and pro-Russian views. Premier since 2014, 46-year-old Vučić had called the early election saying he needed a clear mandate to press ahead with the potentially unpopular reforms required to join the European Union. Serbia’s Prime Minister Aleksandar Vu?i? yesterday (17 January) called for early elections in a bid to cement stability as the Balkan country negotiates its accession into the European Union. But critics saw the vote as an attempt to consolidate power, expressing concerns about Vučić’s authoritarian tendencies including curbs on media freedom. A former Šešelj ally turned centrist politician, Vučić said in a victory speech late Sunday that the results showed support for reforms and “European integration”, handing him a “huge responsibility”. European Commissioner Johannes Hahn was among the first to congratulate Vučić on Twitter. Serbia, home to seven million people, opened the first stages in EU membership negotiations in December, although Brussels has said there will be no further enlargement of the bloc until 2020. 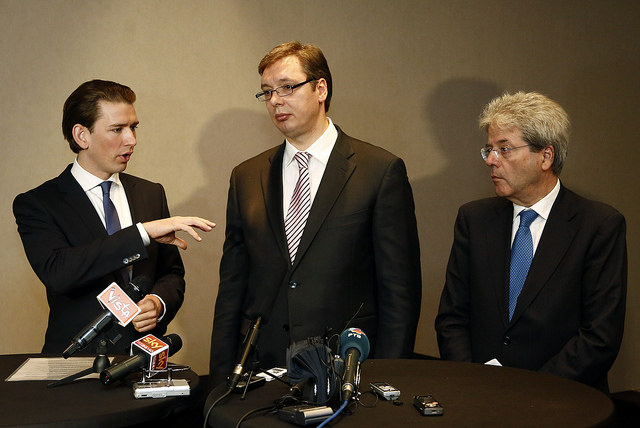 Serbia’s accession talks face difficulty over Croatia’s refusal to open a key chapter. The election was Serbia’s third in four years and enthusiasm appeared in short supply as voters queued at polling stations. “We have elections too often,” retired 68-year-old Jelica Nikolic told AFP in Belgrade, saying she and her husband Radomir were voting more out of duty than conviction. In the southwestern city of Novi Pazar, Edib Mahmutovic, 40, hoped the victors would “create new jobs that enable us to stay here and not have to look for a better life elsewhere in Europe”. Turnout was around 55%, higher than in 2014. It remained unclear how many other parties would enter parliament, with several of the fractured opposition groups hovering around the five percent threshold in projected results. Powerful Vučić will now face the task of reforming inefficient state-run companies and the bloated public sector, measures required by the EU and as part of a loan agreement with the International Monetary Fund. Serbia remains one of the poorest countries in Europe, with unemployment at about 20% and an average monthly wage of about €360. Hardliner Šešelj – who could now become the leading opposition figure in parliament – called on Serbs to embrace Russia in a virulently anti-Western campaign, which included attacks on NATO for its 1999 bombing of Serbia during the Kosovo war. “We are not happy with the election results, we expected more,” Šešelj said late Sunday, adding that the Radicals would “show we are superior” in parliament. 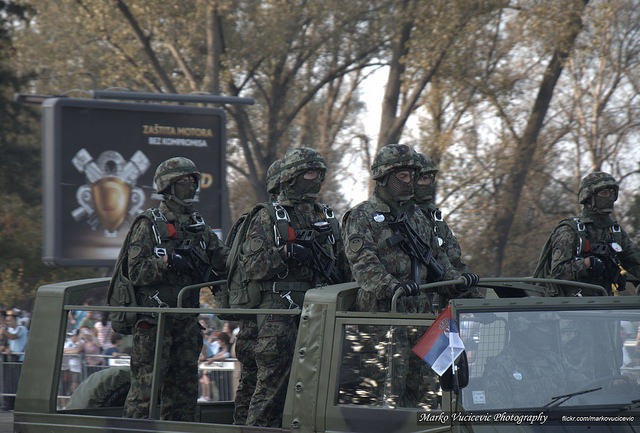 Russia, a fellow Slavic and largely Orthodox Christian country, is considered a supportive ally by many Serbians – especially for denying the sovereignty of Kosovo, which unilaterally declared independence from Serbia in 2008. Although Vučić warned voters of the far-right threat, analysts say having hardliners in parliament could be a useful tool for the premier to present himself as a moderate leader. “The Radicals’ presence could be a good way for the Progressive Party to claim there is pluralism in Serbia,” said Bojan Klacar, director of the CESID.